It all started in winter 2009, when Beth received a German text book for Swedish blind children from a friend of her as a gift, who was teaching in a blind school in Finland at that time. It reminded her when childhood lies are so believing told by the parents. Therefore, she started to learn Braille by translating this German book. Little she knows any Braille or German, yet she is fascinated by the pure idea of translation, or rather, transcription. The gesture itself became translating an unknown language to another language unknown. Influenced by Lindsay Seers, she turned herself into a human decoding machine. Speaking about machine, there is a certain beauty about human relationship to machine since the invention of typewriter. 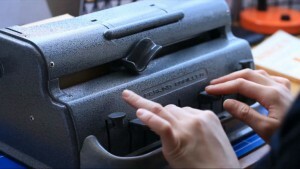 Apart from Braille materials and publications, Beth started to collect Brailler (Braille typewriter) from all over the world. She currently owns five Braillers - one English Perkins Brailler, one English shorthand Brailler, one German Brailler, two Japanese Braillers. In the beginning, she wrote poems in Braille, designed geometric embossed patterns on old Braille paper. After that, she moved onto making patterns onto thin aluminium sheets and coil hence develop art installation. This resembles typewriter art back to the old days, also ASCII art derived from obsolete computer aesthetics. In addition, the work challenges traditional printmaking, as the Braille is produced from a manual Perkins Brailler into tactile images. 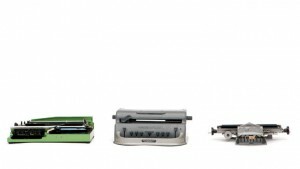 Her favourite is still Perkins typewriter, which is the most common used and popular one around the world, "Because it is bulky, practical design and emboss well." She comments, all of her prints are made by this amazing machine. The store's idea was came up at Christmas 2010, when Beth was very broke and decided to send all of her friends handmade Christmas cards, instead of buying expensive stuff they rarely use and stress about giving back something similar. 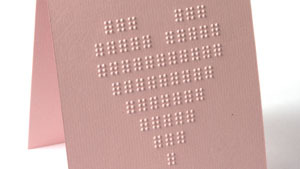 She sent her first Braille Christmas card, a Christmas tree-shaped embossed with Braille Christmas message. She received a lot of positive feedbacks and improved her material (i.e. paper weight) and designs. 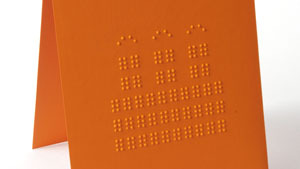 Our Braille cards papers are supplied by ArtOz Papier AG, a Swiss paper & forest products company. The premium ArtOz cards are textured and watermarked. Since the end of March 2011, around half of the Artoz 1001-range has carried the FSC (Forest Stewardship Council®) logo. Products with the FSC trademark do not exploit resources but promote socially and environmentally sustainable forestry. 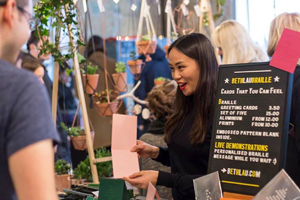 With a huge success in the following year, her cards are sold in craft fairs and several independent bookstores in East London. 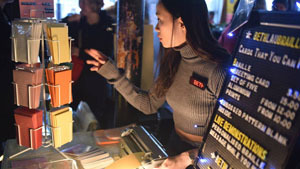 She sold over 50 cards around the world online (England, Spain, Belgium, Norway, Iceland, US and Hong Kong) during the Christmas period. Beth is hoping this year she will spread out her "Braille business" and perhaps try to be less lazy and make more new designs focusing on different occasions. She also offers customised Braille message for those who purchase her card and would like to put personal Braille message inside the card for their beloved one. It is unique, enciphered, minimal and touching! Now everyone can perceive and enjoy the pictures visually and tactually - without the need of an interpreter! 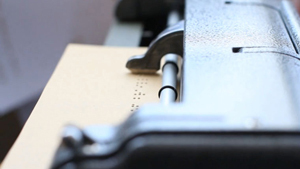 "It is a good idea to have thought about doing these kind of Braille cards. I was looking for a Christmas card to send to a friend who is accidentally blinded. Your card will be sent to the only blind police officer in Belgium, but he does not know it yet!" "Thank you so much for the fab Braille Heart card and Christmas Tree card. They arrived super quick and have now been send to my lovely little neice in Los Angeles who is currently learning Braille. ..... I will be in touch throughout the year to get more of your cards for her." "Beautiful. I have purchased Braille cards from other sites that charged around the same amount but just put Braille on plastic that was glued to store-bought cards. 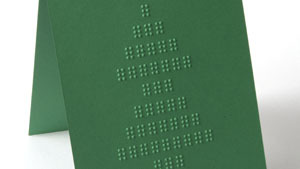 This is a gorgeous Braille card, actually Brailled on high quality paper and cutely in the shape of a Christmas tree, so we sighted people can enjoy it too. Highly recommended." This is just what I was looking for and wanted for my twin brother who is blind. The communication was fast and easy and I received my card in no time! Loved it all!!! "Lovely card for those with sight issues. Arrived super fast and well-packaged to prevent creasing. Thank you!" More recent reviews please click here and there.